Have you packed ? Good ! So now it’s time to place a fashionable little luggage tag. Made of high-quality, flexible rubber. 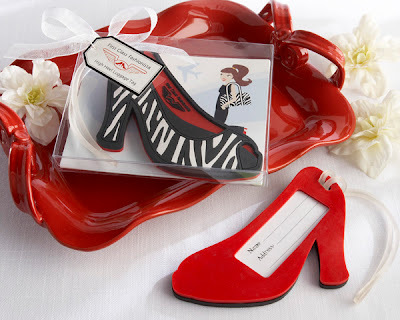 Open-toed shoe has black and white zebra pattern with wings logo and the words “First Class Fashionista” on red “lining”.